Antique rugs from Malayer, east of Hamadan, could be considered top quality Hamadan’s and they share similar structural aspects. 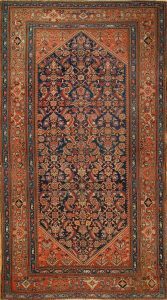 Although seemingly urban, virtually every Malayer contains village touches: birds, animals, people or random geometric elements. This makes them playful and unexpected. 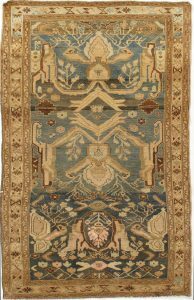 Some small rugs in medallion patterns and fine weaves mimic Kashan’s or Feraghan Sarouks while larger carpets often employ repeating patterns. The wool is fine, the colors are properly aged and the weaves are good. 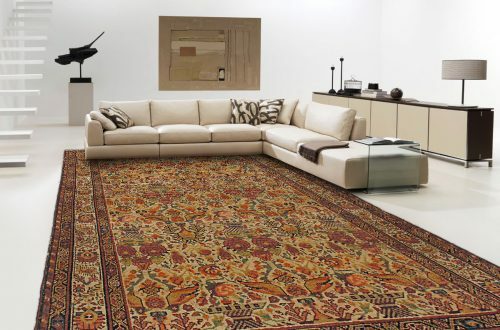 If an antique Persian rug resembles a Hamadan, but is simply too good, call it a Malayer.